More fun ‘Move Live on Tour’ Stuff from Houston, TX! Photos, Videos, Blogs, & Reviews! Lots of fun ‘Move Live on Tour’ stuff while our cast was in Houston! Check it out!!! 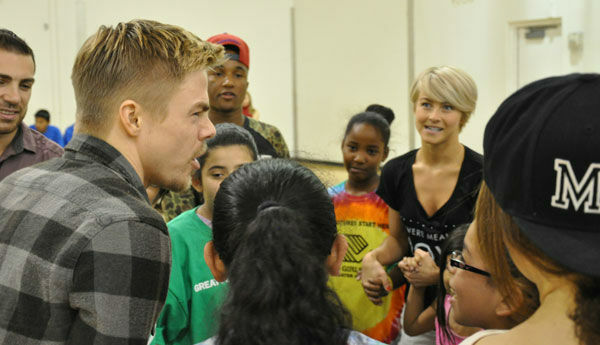 Derek, Julianne, and the Move Dancers visited a local Boys & Girls Club while in Houston. We have some great photos from local ABC news affiliate, ABC 13! There are tons of nice photos, so check them out here! Below is a video of the cast performing ‘Happy’ for the kids! Thanks to Thomas Goggins for the video. Rick Florino wrote a fabulous review for ‘Move Live on Tour’ from the Houston show for ‘Artist Direct’! I’ve included an excerpt below, but be sure to click on the link to read the entire article! Consistently, we hear, “It’s all been done before”, “there’s nothing new out there”, or “nobody’s original anymore”. Julianne Hough and Derek Hough disprove all of those pervasive pop culture complaints (and more) with their current roving spectacle Move Live On Tour. Simply put, you’ve never seen this before. It’s completely original and totally new. It’s also the most engaging, energetic, and exciting show you can see right now. There! Keep that in mind, this is a “show” in the most timeless sense of the word, yet it bristles with a fresh and fiery vitality courtesy of its brother and sister stars. Last night in Houston, they certainly kept the crowd moving for nearly two hours. Taking the stage with a host of flawless backup dancers, they rocked through a futuristic hip-hop routine rife with physical fireworks. It didn’t stop there though. Whether Derek was donning a red Matador jacket and sliding across the stage in succinct salsa steps or Julianne lithely moved in tandem with each beat locking eyes with the audience, they continually transfixed. Derek, Julianne, and the Move Dancers Visit the Boys & Girls Club of Greater Houston! This event definitely deserves its own post! Derek, Julianne, and the Move Dancers visited a local Boys & Girls Club before their SOLD OUT show at the Bayou Music Center in Houston. It looks like they were interviewed by a local news anchor and their interview might be seen at ABC13 News. Below are photos from twitter and instagram, as well as, from ABC 13 news! Video of ‘Move Live on Tour’ cast dancing to ‘Happy’ via Thomas Goggins! 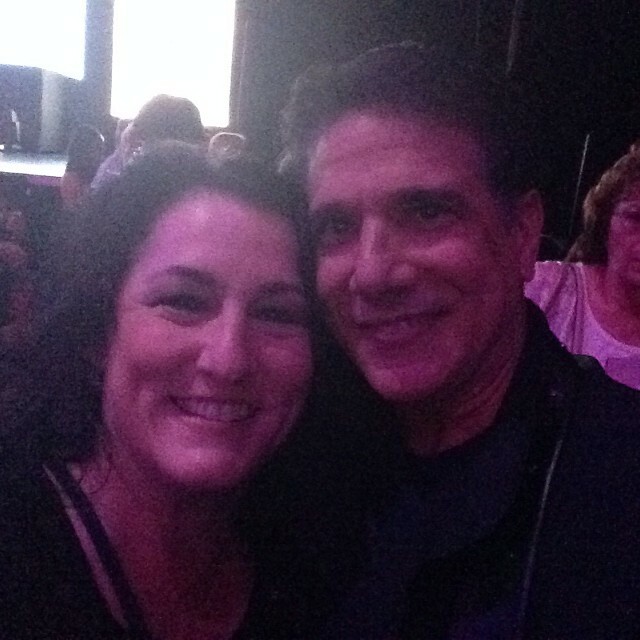 ‘MOVE Live on Tour’: Houston, Texas (June 4) – Fan Photos, Tweets, and Videos! Derek, Julianne, and the Move dance company performed to an amazing SOLD OUT audience at the Bayou Music Center in Houston, TX, tonight! There were tons of tweets, photos, and videos shared on twitter and instagram! BUT FIRST, LET’S ADMIRE THIS AMAZING PHOTO THAT DEREK TWEETED OUT! I think this is backstage at the Bayou Music Center… drooling! ‘MOVE Live on Tour’: San Antonio, Texas (June 3) – Fan Photos, Tweets, and Videos! 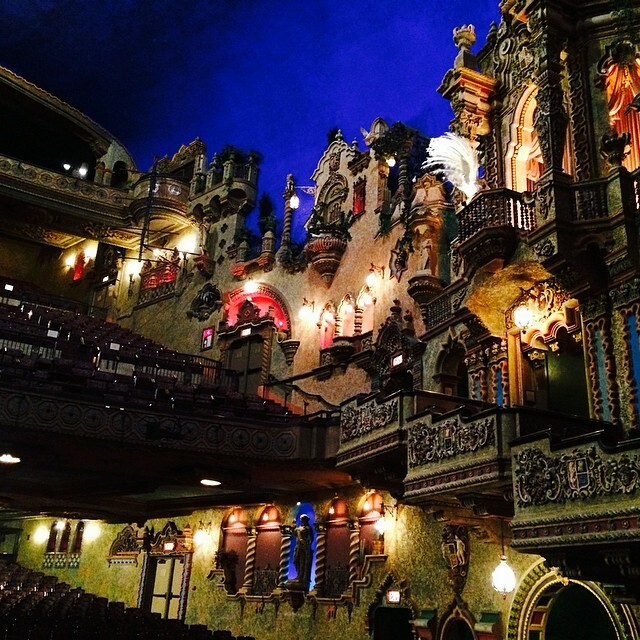 ‘Move Live on Tour’ visited the GORGEOUS Majestic Theater in San Antonio tonight to a SOLD OUT crowd!!! Check out all the fan tweets, photos and videos below!! The ‘Move Live On Tour’ cast & crew got another off day as they go to their SOLD OUT concert The Majestic Theater in San Antonio, TX! Check out how our Move Dancers are enjoying their day sightseeing! Plus found a few random photos from instagram! 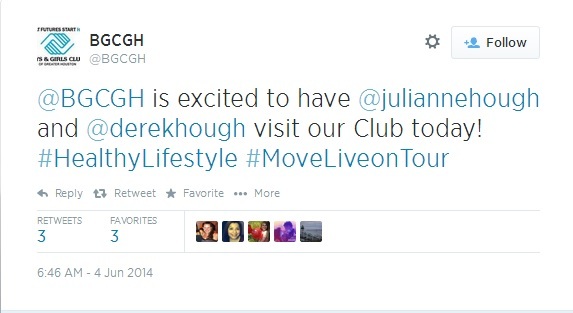 In addition, PureDerekHough discovered that you can rate and write reviews on ticketmaster. ‘Move Live on Tour’ has a rating of 4.9/5 stars from 57 reviewers so far! Check them out here at this link! “Thank you San Antonio for an incredible night! !” Oh my goodnesss… that crowd is AMAZING! !